So, it’s the Easter holiday’s already; the sun is shining (for now), the kids are off, and it’s time we gave our homes a good old sort out! If you’re feeling motivated to have an Easter home detox, where do you start? I had a think about the things in my home that may get a little neglected, stuff I think I clean or sort out often, but really it may only be once or twice a year. Time goes so fast it’s hard to keep up with it. One thing I know for sure gets neglected is my bedding. Obviously, I change the covers frequently, but I rarely remember to stuff my pillows or my duvet in the washing machine. Probably because they can be a hassle to dry, but also because it just doesn’t come to mind. Despite our best-selling duvet being the Spundown, (the most popular washable duvet on the market) I, like many of us, am guilty of overlooking my beloved duvet’s cleanliness needs! I did a bit of research and here are my top six tips to keeping your bedding fresh, so there’s not as much to do come the Spring-time blitz. If you’re a bit like me, it might be time to buy new and start from scratch! Try to invest in a decent washable duvet. Believe it or not, there are some great synthetic duvets on the market that you can wash at home at 60 degrees, the temperature that busts dust mites. The Fine Bedding Spundown is renowned for being the ultimate wash-at-home duvet; it’s highly compressible, so it fits into domestic washing machines, it retains its shape, warmth and softness no matter how often it’s washed. 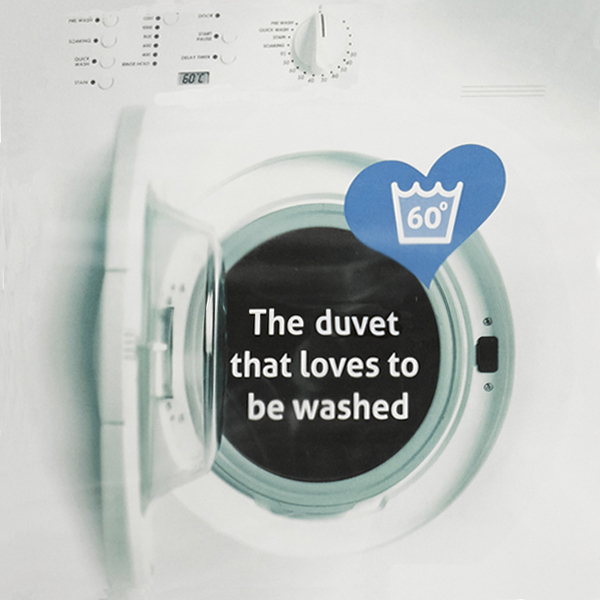 It is recommended that you wash your washable duvet every few months… guilty! Obviously if you are too much of a fan of the natural duvet, you will probably have to get yours professionally cleaned, but it’s always best to have a spare as this can often take up to two weeks. If you swap your duvets at the change of the seasons it’s probably a good idea to have them cleaned just before swapping, that way each duvet will be cleaned once a year and shouldn’t need doing again for that six month period. I have already admitted to often overlooking the needs of my duvet, and I’m afraid pillows are also a victim of my neglect. It is recommended that you wash your pillows more often than your duvet, if you think about it they probably should be washed at least once a month. Most pillows can be washed up to 40 or 60 degrees, but always read the label. Many natural pillows, like the duvet, may need professional cleaning. 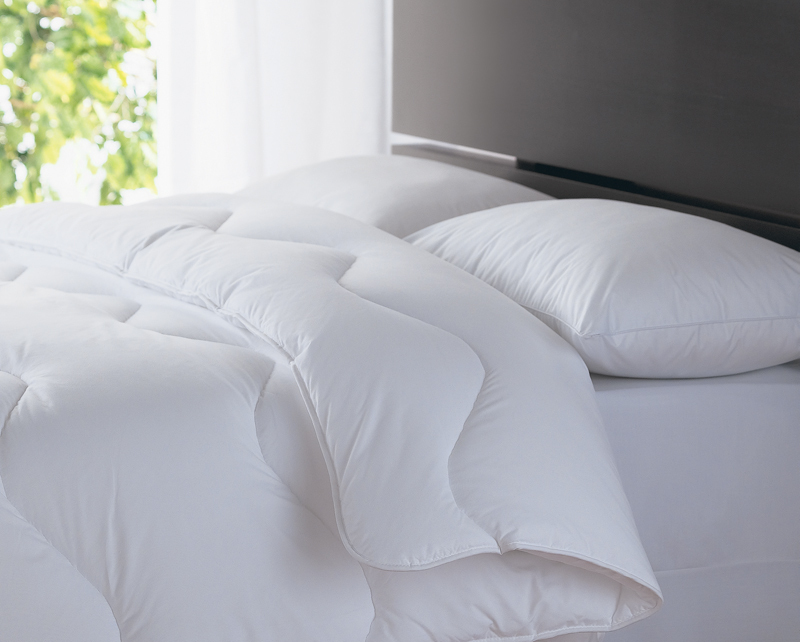 In prolonging the life of your bedding, protectors can make a huge difference. That extra layer to shield against dribble! Gross. No, seriously, a protector can defend against penetration of dirt and dust, extending the life of your pillow and mattress. Not only can pillow and mattress protectors add extra comfort to your bed and improve the quality of your sleep, they can also protect your mattress against spillages and stains. The Complete Comfort Mattress Protector is 100% waterproof, hypo-allergenic and washable at 60 degrees. Your protectors should be washed as often as the rest of your bedding. I know that we are encouraged to wash at low temperatures, and I am all for it, I never wash above 30; until it comes to my bedding. It is important that we wash our bedding at the highest temperature recommended. 60 degrees is the temperature that kills dust mites, very important when it comes to our health and allergies. Yes, we should definitely economically wash our clothes that we wear once or twice, but when it comes to something we have on us for an average of 8 hours every night for a month or two… the higher the better. The hoover is your mattresses new best friend: If I’m guilty of neglecting my pillows and duvets, I should be sentenced to life for completely ignoring my mattress! Because I use a mattress protector, I don’t even think about the health of the mattress itself. I found out that in order to prevent a build-up of dust, dander and dust mites, you should vacuum your mattress regularly using the upholstery attachment on your vacuum cleaner. If the mattress surface becomes dirty or soiled, use an upholstery shampoo, using warm water and a sponge – always allow the mattress to dry thoroughly. 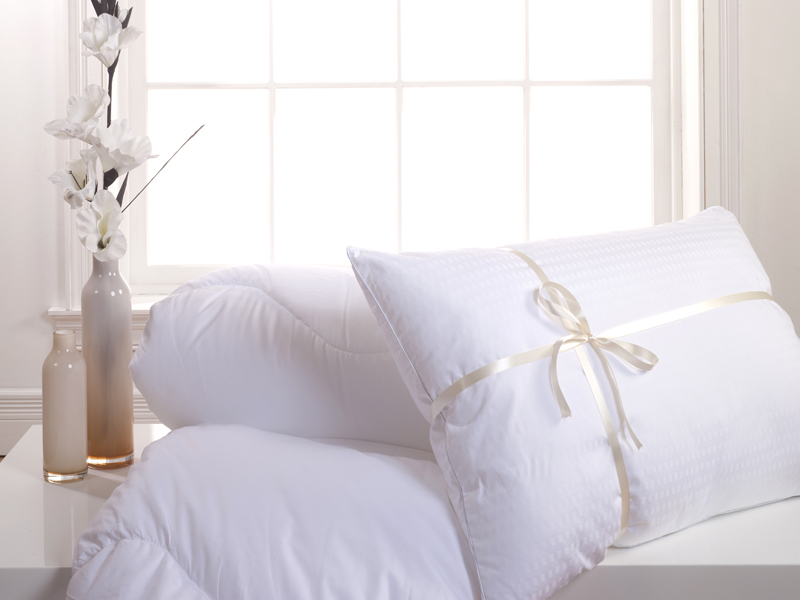 A simple yet effective way of freshening up your bedding is to give it a good airing. This is especially good this time of year, as it’s often sunny but breezy, the perfect conditions for airing out your duvets and pillows in-between washes. Let us know if you’ve got any tips or advise on prolonging the life of your bedding, or just on spring cleaning in general! 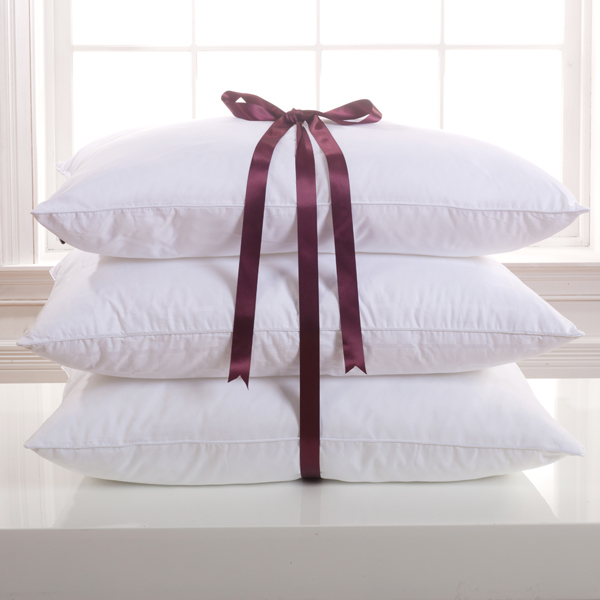 bedding, Duvet, Fine Bedding, Machine Washable Duvet, Pillow, Spring Clean, Spundown, The Fine Bedding Company. Bookmark. I love when spring cleaning finally comes around, and I have time to wash all of my bedding, and give it a really deep clean. I had no idea that 60 degrees is the magic number to kill off dust mites, and bed bugs. I’ll make sure that I wash my sheets at the temperature to make sure my bed is purged of all those creepy crawlers. Something that you pointed out that I often times forget, is that I need to regularly wash my pillows. I am also extremely guilty of overlooking them when I am doing my spring cleaning.